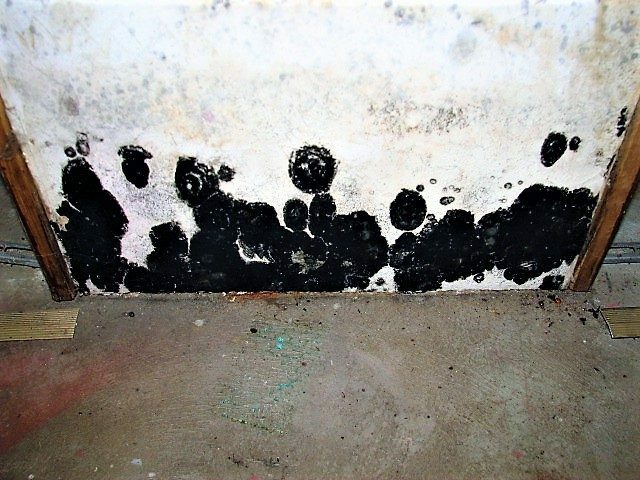 The mold that people associate with black mold exposure is a species technically known as Stachybotrys. It just so happens to be the most toxic mold known to man. I discovered this dense growth of Stachybotrys hidden behind stored items in a basement where my client was being poisoned by black mold exposure. This lady called me at the recommendation of her medical doctor. When I first arrived at her home, she looked very sickly, was in panic mode, and believed she was losing her mind. She was dangerously thin and suffering from rashes and lesions on her skin which are dermal symptoms of black mold exposure. After my client vacated the home, her mold symptoms gradually diminished and she once again became the beautiful woman that I saw in photos that were taken before this mold exposure occurred. She told me that I saved her life. I like to think that having a proper mold inspection saved her life. When Stachybotris initially starts growing on surfaces, it is often identifiable by the bullseye shape of the interconnecting colonies. I took this photo of black mold growing on a wall behind a sofa in a living room. When people discover black mold in their homes, they often panic. In fact, many of the phone calls I receive from clients begin with them stating they discovered black mold in their homes. Don’t be fooled by color, however, because there are many molds that are black, but not toxic like Stachybotrys. Equally important to know, there are many other colors of molds that are extremely toxic to humans and pets. Additionally, species of every color constitute allergenic molds that can cause typical allergy symptoms such as sneezing, chronic coughing, congestion, watering eyes, and asthma attacks. Lastly, and very important to know, species of virtually any color can be pathogenic. 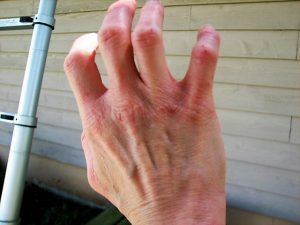 These are infectious molds that can cause skin rashes, sinus infection, ear infection, and lung infection. The safest approach is to not allow any species of mold growth to proliferate in your home. Please don’t misunderstand this story. The case I mentioned above is extremely rare and it is not often that I recommend a home be vacated. In most instances, mold remediation can be performed in a practical manner without leaving the home. 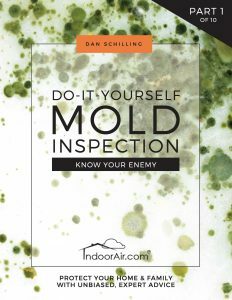 In this series you will learn how to perform your own mold inspection without the cost of hiring a mold remediation company, spending money on mold testing, or risking a common mold scam. Once you learn the methods of proper mold inspection, you’ll likely be surprised to see how much mold is actively affecting your indoor air quality and putting you at risk of mold symptoms. 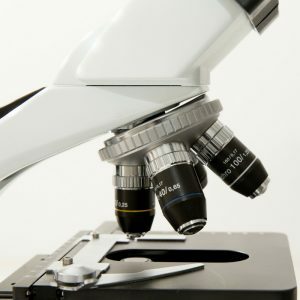 Typically, whenever mold is discovered in one location, you’ll find black mold, white mold, and other colors of mold growing in additional locations. I often get calls from clients wanting me to do black mold testing, In good conscience, I try to talk people out of paying me to do this work. 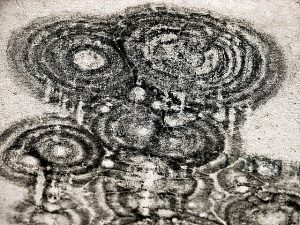 Mold testing is largely a waste of money. Knowing the species of molds you have in your home is basically useless information. Your goal should be to find ALL areas of mold growth and safely eliminate them from your indoor environment. Similarly, while air filters and air purifiers can significantly improve indoor air quality in mold-contaminated homes, they are NOT a substitute for a mold inspection. You could easily spend hundreds (or thousands) of dollars purchasing products, testing for mold, or hiring professionals to look at your home, and still risk becoming a victim of incorrect information or buying devices that will not solve your problems. Wouldn’t you rather have expert information from easy-to-read books that are only $7.99? Whenever mold is discovered, before proceeding with DIY mold remediation or hiring a professional mold removal company, the responsible thing to do is to become familiar with proper and improper methods of mold cleaning. 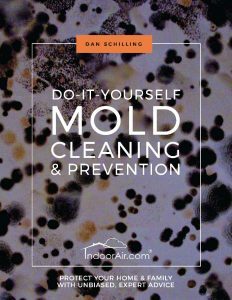 You can do this by reading the book Do-It-Yourself Mold Cleaning and Prevention. If you would like to know why I’ve invested my life into helping people, you can visit About or read what others are saying by visiting Testimonials. Help your family and friends by sharing this blog page on social media. I like to say that thank you very much, that is very helpful and I will definitely look into your recommendations.